While the scriptures, creeds and confessions of the Church across time and space profess the faith we hold, the essence of our congregation’s beliefs are summed up in God’s love. 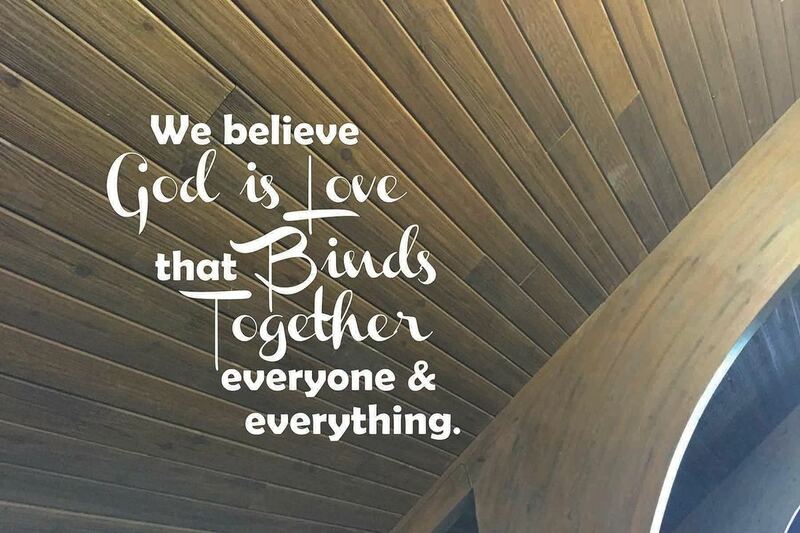 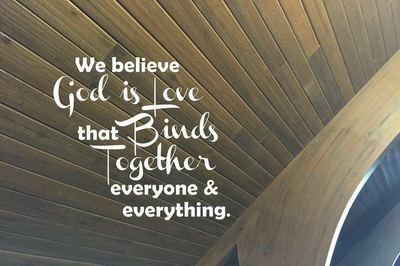 God is love that binds together everyone and everything. God's love is guaranteed for all through the life, death and resurrection of Jesus Christ. 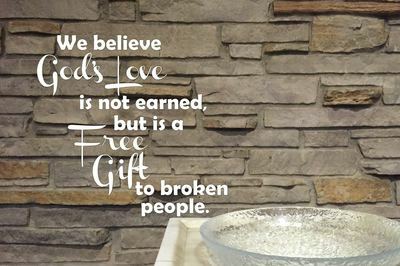 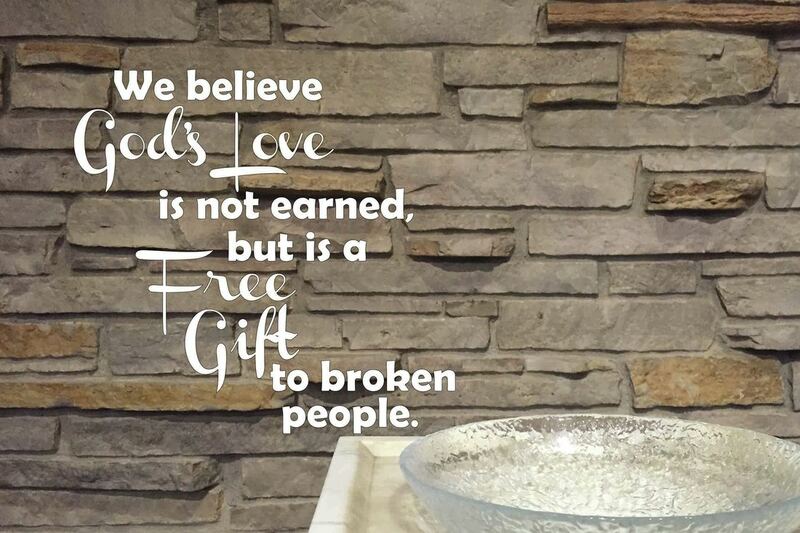 God's love is not earned, but is a free gift to broken people. 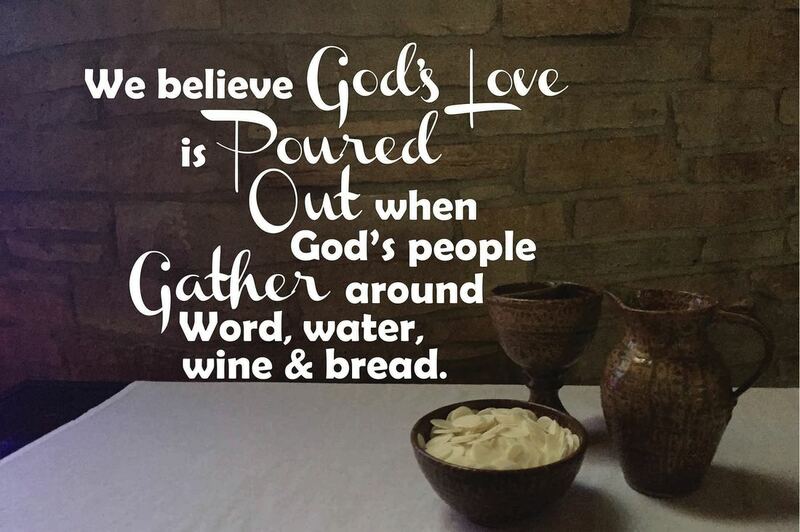 God's love is poured out when God's people gather around Word, water, wine and bread. 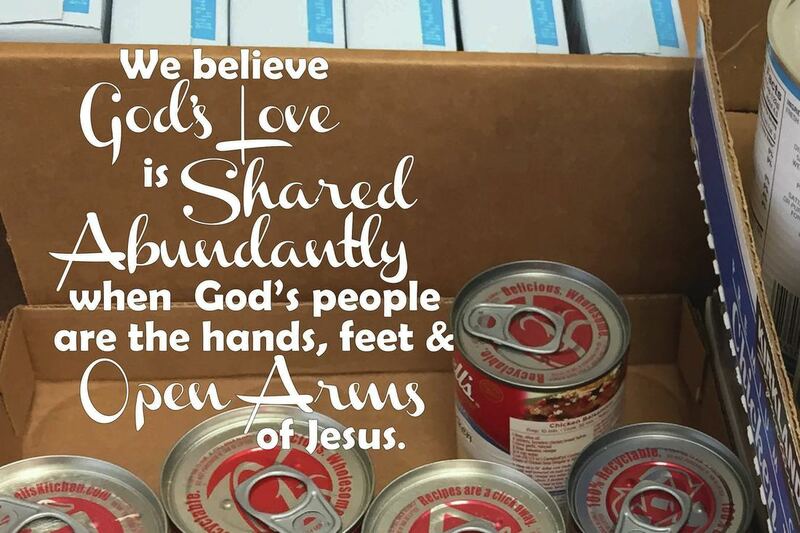 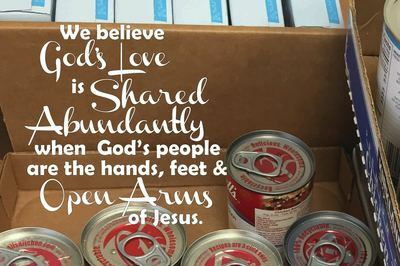 God's love is shared abundantly when God's people are the hands, feet and open arms of Jesus. 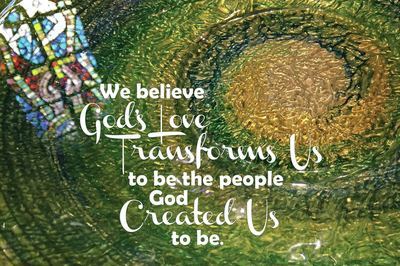 God's love transforms us to be the people God created us to be. These statements of belief sum up, but do not replace or modify the ancient creeds or confessions of the one, holy, catholic and apostolic Church or the Evangelical Lutheran Church in America. 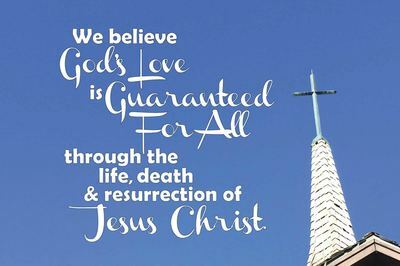 A complete statement of faith can be found in our constitution.